After acquiring my brain injury from a rock climbing fall in 2013, I have found that I still have a strong desire to climb. 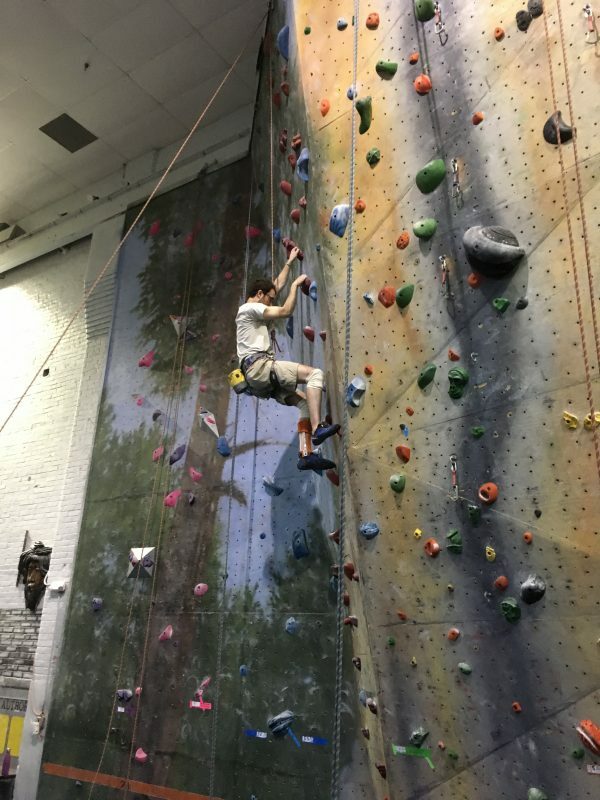 The bimonthly adaptive climbing club nights held at my gym, Prime Climb, in Wallingford, CT have helped me to get back on the wall after my fall. Since returning to climbing in June 2016, I have continued to improve in my ability every time I go. When I learned that the Paradox Mile Challenge to climb 5280 vertical feet in one month was being hosted by my gym, I was immediately onboard! 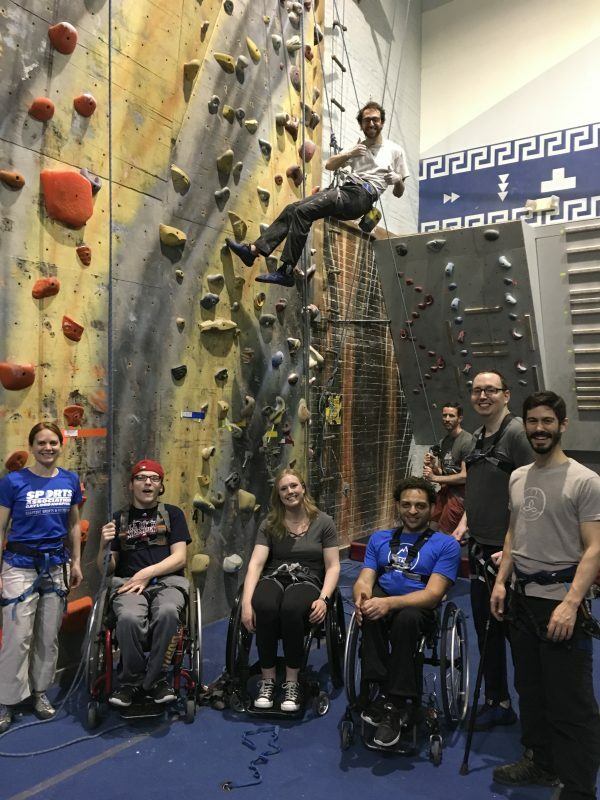 I knew I wasn’t going to be able to climb the 176 gym laps (Prime Climb walls are 30 feet high) all by myself in one month, so I teamed up with my gym’s adaptive climbing community as part of an Adaptive Climbing Club Team for the event. Since my accident I have found that I am incredibly goal oriented and driven, and the objective of climbing a mile lit a veritable fire under me. I began to consistently climb more climbs than ever before, to help my team reach our mile goal. Where before I had only been climbing 3 or 4 climbs in a session, after I started the mile challenge, thanks to my personal “fire”, I began to consistently rack up the numbers by doing 6, 7, 8, 11… even 15 climbs at a time on different day. 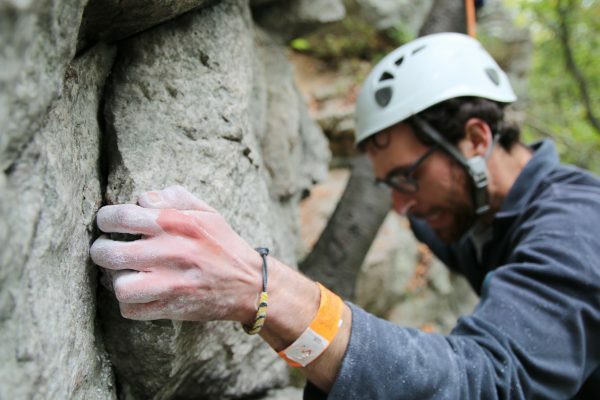 Joining the Adaptive Climbing Club Team was a great decision and incredibly successful. Climbing with my teammates, we were able to encourage and support each other and I really feel this helped to bring us together and push us to our goal and beyond. As a team we collectively crushed the mile, went over the 5,280 foot distance by 2,460 feet, and are proud to have exceeded our fundraising goal for Paradox! I alone was able to climb more than half a mile! More importantly, now every time I go to an adaptive night the comradery and support between all of the climbers is so much stronger and more inclusive. We have since welcomed many new climbers into our ranks and look forward to continuing to build on the momentum that the mile challenge provided!